Trapping were set the night before the mass spay and neuter clinic. Visalia Mayor Steve Nelsen often says during city council meetings how compassionate Visalians are, and that was proven once again on Presidents’ Day Weekend. Dr. Nanette Kuswa, owner of Companion Animal Medical Center, assembled a group of volunteers to conduct a free spay and neuter clinic on Sunday, February 16th. 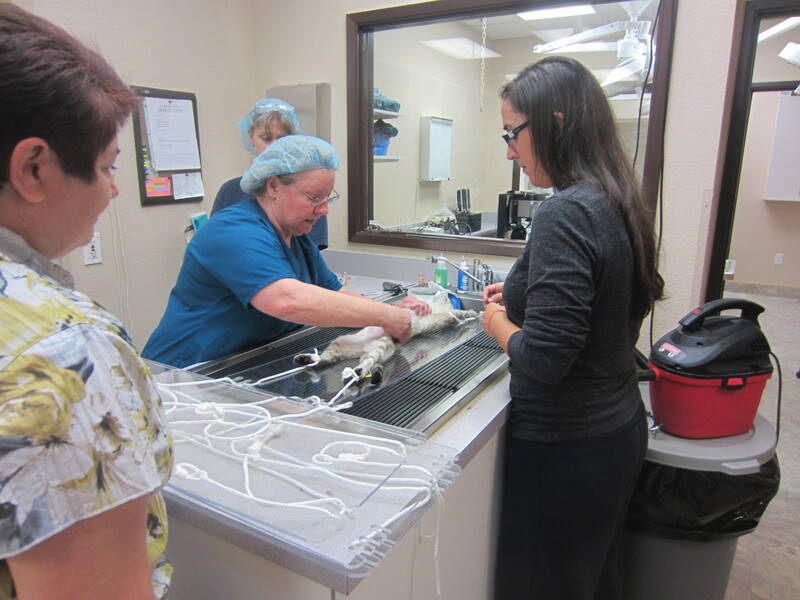 In the span of four hours, two doctors, five staff, and six members of the Visalia Feral Cat Coalition (VFCC) volunteered their time to neuter 18 feral cats in Visalia’s first mass clinic. They also checked for ear mites, de-flead the cats, tested them for leukemia, and gave vaccinations. 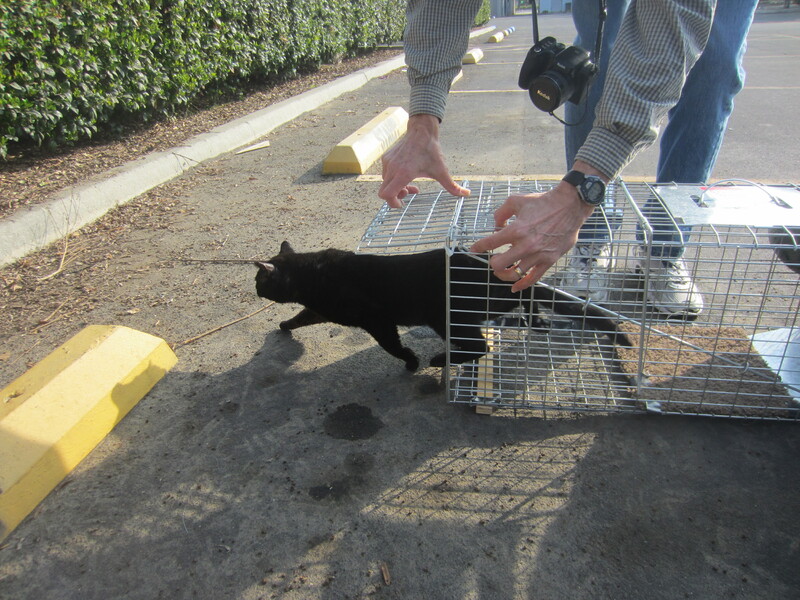 The Visalia Feral Cat Coalition employs the Trap, Neuter and Release philosophy. 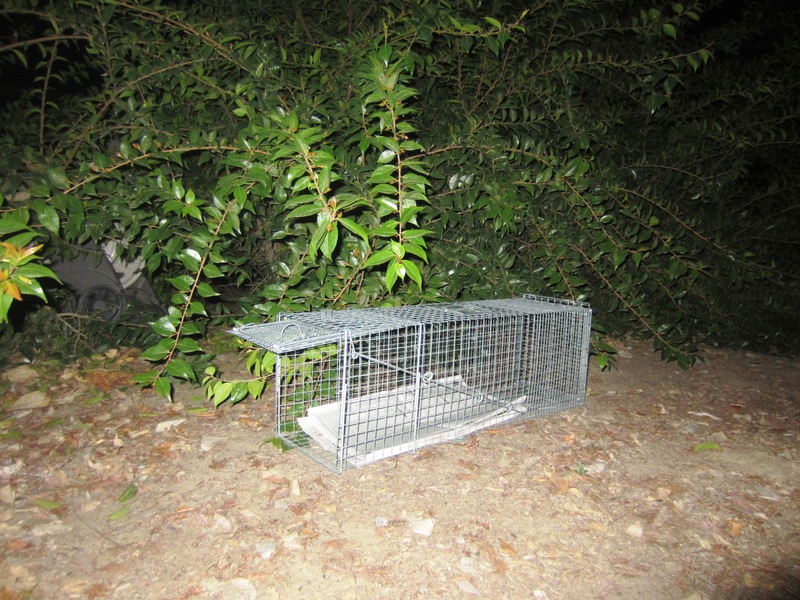 Trap, Neuter and Release (TNR) has been used in Europe to combat their feral cat population for the last 30 years. The program has been used in California for the last 20 years, but for some reason not in the Central Valley. That all changed last week. The process for the mass sweep and clinic actually started weeks before when a commercial property owner and the manager of a public building in Visalia needed help with their feral cat population. The property manager and property owner from both locations happened to come into contact with VFCC to ask for help at the same time. Because both properties had about 20 or more cats, and kitten season was here, the committee decided to do a mass sweep. After Dr. Kuswa donated her services, the committee members pooled all the traps they could find. On Saturday night, the traps were set at the two locations. Many of the traps were filled by 9pm and Dr. Kuswa personally came out to pick up the cats and keep them at her office overnight. The rest of the traps were left out and brought in by VFCC the next morning. The commercial property and public building are not being disclosed so people don’t dump cats at those locations thinking they will be taken care of. Releasing a healthy cat back to its home. 8am, Sunday morning, the 18 cages were lined up outside the clinic according to where they were trapped. The clinic was separated into stations with instructions taped up to the wall so each assigned group knew exactly what they were responsible for. The volunteers working on the cats, except for the VFCC members, were actually Dr. Kuswa’s technicians and Dr. Carol Adams who works at the clinic. Even the receptionist came in on her day off and put on a pair of scrubs. The overall sweep was a success with a few lessons learned. “For the next sweep I’m going to reorganize the duties of each station,” said Dr. Kuswa. Just the sheer volume of cats created the potential for mistakes. A six-month-old female woke up after her operation, but before she could get her vaccinations. One of the techs accidently got squirted in the eye with anesthetic and when pulling out one of the cats from the carrier the tech was bitten and a volunteer scratched. “That’s the first time in my eight years doing this that I have gotten bit,” said the tech, still a little in shock. By 12:30pm, all cats were recovering in their cages, surgical implements were washed, and the floor mopped. Even though the next day was a holiday, Dr. Kuswa had a full schedule of appointments and surgeries scheduled so everything had to be ready. The VFCC divided up the cats to take home so they could recover before being released the next day. Male cats are neutered and vaccinated. “It’s kitten season and won’t this property owner be happy when there are no more new cats,” said VFCC member Dianne Dunbar. Cost to the property owner? Absolutely nothing. Out of a love for cats, a group of like-minded people decided to organize the Visalia Feral Cat Committee. “When people aren’t educated they just want the cats removed and put down. But when they see that new feral cats just take their place they want a more permanent solution. Removing the cats creates a vacuum effect,” said Dunbar, so now the Visalia Feral Cat Coalition offers TNR as a more humane way of dealing with them. According to Ally Cat Allies, “Feral cats are not adoptable. Their home is outside, not on someone’s couch.” It was noted that after Mooney Grove started trapping again this year that two new cats have moved in to replace the several cats presumably put down. How can I get in touch with this group? I am interested in volunteering. What is the current Mooney Grove cat status? I called VOSPCA for an update but have not received a return call. The Visalia Feral Coalition can be reached by e-mail [email protected] or by phone 559.429.5415. We would like to enlist anyone interested in volunteering. Thank you for your interest. This is absolutely a disaster! ! Yes I like animals but when does a cat have more rights than my children?!? We have wild cats that get under our house, urinate and defecate in my backyard and front yard where I have to rake at least 3 times a week! Is it fair to my children that they can’t play at the risk of getting sick? Yes we have gotten sick from their mess! Are you going to pay my dr bills?! Catching them and fixing them then releasing them back around where they were caught is not a good idea at all!